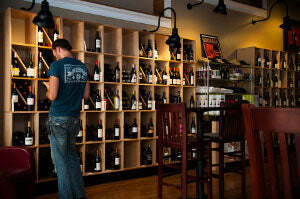 Yelping Dog Wine in Staunton hosts wine and beer tastings from many of the local vineyards, as well as from time to time we host representatives who bring wine to taste from around the world. We do not charge for our wine tastings, but instead kindly ask for a small donation to the local SPCA. The Yelping Dog participates in all of the downtown Staunton events, such as Staunton Jams, PAC'n the Streets, and Sparkles and Sweets, which kicks off the holiday shopping season in downtown Staunton.